Many people are ready to make the transition to retirement. They envision living a less stressful, carefree lifestyle. Where they can be adventurers, live next to the ocean, hear the waves crash. Enjoy the warm sunshine, swim in the ocean and gaze at the sunset every day. Is ocean front living a dream or could it be a reality for you? A home may be too expensive so let’s explore a luxury condominium. You would need at least 1500 square feet of living with a large deck to enjoy your ocean view. To make your lifestyle complete you would want the luxury amenities: A turn key property that is new (or nearly so), a secure building, pools, hot tubs, beach access, and exercise equipment. You would also like your home to have an outstanding climate, not too hot, no snow and abundant sunshine. You would want to be within an hour of an international airport so you could travel in your spare time. What if you could acquire this property with ultra low property taxes, and low homeowners fees. Do I have your attention? Where can you find such a place with an incredible price between $200,000-$300,000? Is this possible? If it was, would you be ready to retire now? This is not a dream, you can find such a place less than two hours from San Diego. The place I am referring to is Baja California, in Mexico. Thousands of Ex Pats make this their home because of the facts above. Perhaps you should consider this as an alternative to retire early. You should do your own research before going further. However, for the adventurous, this may be the perfect opportunity to make your dream come true. Soaring real estate prices in Southern California will allow many people to sell their current property and take their equity and buy in Mexico, for cash. With no mortgage and a very low cost of living people can make a great lifestyle in Baja. Property taxes and homeowner fees are as low as $250.00 per month. Even those with a tight budget can handle those fees. Utilities are also extremely low due to the ideal climate where heating or air conditioning is rarely needed. Health care in Mexico is reasonable. Many combine healthcare in Mexico with traditional US based options. Due to it’s proximity to the border Baja residents can come to the US for more complicated needs with routine care done locally. I spoke with Larry French from Baja Costal Real Estate who has lived in Mexico for many years. He confirmed for me that he feels safe and the quality of life is excellent. I was really impressed with some of the condo listings I reviewed from his site. Linked is a sample 1,600 square foot property, oceanfront, two bedroom, two bath, in a great building with amenities for $215,000. Homeowner fees are just $200 a month with a view that will take your breath away. We don’t have any affiliation with Baja Costal Real Estate. The information provided was just based upon doing some research for some people who were looking at different housing options to lower their cost of living, in retirement. After reviewing many parts of the US they asked us to expand their options. Their family lives in California, but they felt that they were priced out. They have limited resources but wanted to be close to family. This is an option they are definitely considering. Mexico has its challenges and is not for everyone. Yet, when looked at objectively it may provide one of the best options. Spend a week or two to get a flavor for what living in Baja is like. For those who want to spend more time, you might consider a long term rental. I found sites where you could rent a property as described in this article for $1,100 per month. Prior to buying, you may want to spend a year living in Mexico to give it a serious test drive. For others maybe now is time to take the plunge and make the transition. We hope this article creates a good dialog around ways to lower your cost of living in retirement. Housing is the number one expense whether working or retiring. 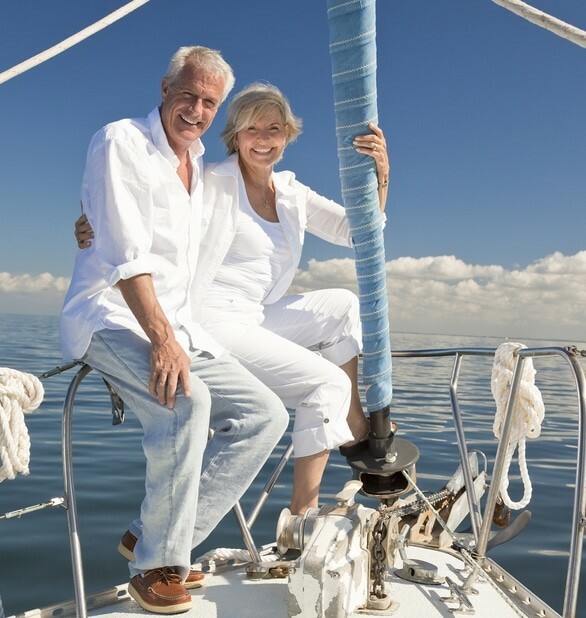 If you can downsize the cost, the ability to become financially independent increases. We have shared a possible way to downsize cost but upside your lifestyle.